Protection against the dangers of excessively high levels of radiation is an important part of any system design process that involves radio frequency (RF) transmitters. Radiation hazards have to be within standardized limits for many different hazard applications, e.g. human safety (HERP), fuel (HERF) and ordnance (HERO). EM simulation is vital for the identification of field levels for individual frequency components of antennas that operate in complex environments. This presentation will demonstrate how Altair Feko has been applied to solve a wide range of EMC problems including radiation analysis and radiation hazard (RADHAZ) zone analysis. 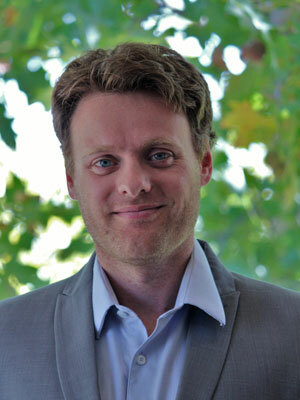 Mr. Johan Huysamen received his Master’s Degree in Electronic Engineering with Computer Science from the University of Stellenbosch, South Africa, in 2007. His postgraduate work focused on electrically small antennas, investigating the theoretical limitations on the performance of small antennas. Johan initially joined EMSS (now Altair Development SA) in 2006 as a Support and Application Engineer mainly tasked with providing technical support to FEKO users in North America. As such Johan has well over 10 years of experience in assisting FEKO users with a wide range of applications. Johan has provided technical support and customized onsite training to FEKO users in the commercial and defense industries across North America, Europe and Asia. Johan currently holds the position of Project Development Manager – EM Solutions at Altair. Though consultation work Johan has been involved directly in specific customer projects in various fields including automotive EMC and antenna integration on automotive platforms for leading automotive manufacturers. Johan can be reached at jhuysamen@altair.co.za.